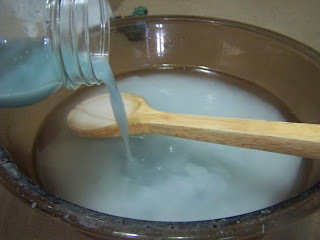 A few postings ago, I featured a recipe for homemade fabric softener that consisted of vinegar, baking soda, water and essential oil. The softener seems to work really well but the fragrance is...well......lacking. For those of you who like the stronger smell of a commercial softener, I've experimented today and concocted a formula that I think you might like. Not only is it stronger smelling, it is more concentrated than the previous recipe (no sense in taking up valuable laundry room space with a lot of water in your homemade products). ﻿﻿ ﻿I chose to use a product manufactured by Purex for the fragrance component of this recipe. It is a product called Purex CrystalsLaundry Enhancer . It is not a softener, rather a fragrance product. When used as the packaging directs, you add about 1/4 cup to the beginning of your laundry wash cycle, not the rinse cycle. I've used this product before as directed and did notice an improvement in the smell of our laundry, however, the bottle which does 15 to 30 loads is $4.76. I was still also buying fabric softener and felt that it was all adding up to be be a bit much per load. Because I am using the Purex Crystals as an additive to the softener which will go into the rinse cycle, I figured I could use a lot less and still get good results. Since I am using this product in a slightly different manner than the manufacturer intended, I did research the ingredients to be certain they weren't known skin irritants. The ingredients in Purex Crystals are as follows - Sucrose (table sugar), Bentonite (clay), PEG Distearate (binding substance used in many products, including cosmetics), fragrance (?) and Sanolin Blue (commonly used dye). None are listed as skin irritants, however, with anyone who has sensitive skin, there is always the possibility of irritation. So discontinue use if skin irritation occurs and persists. 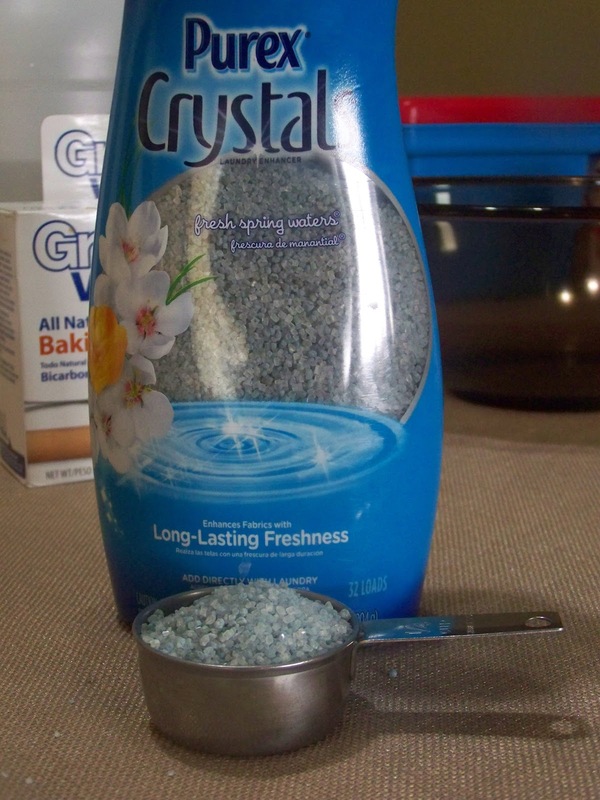 1) Mix 1/4 to 1/2 cup of Purex Crystals with 1 cup of tap water. Let sit and stir periodically until dissolved (about 15 minutes). 2) Measure out 1 cup of baking soda. Put in a large bowl. 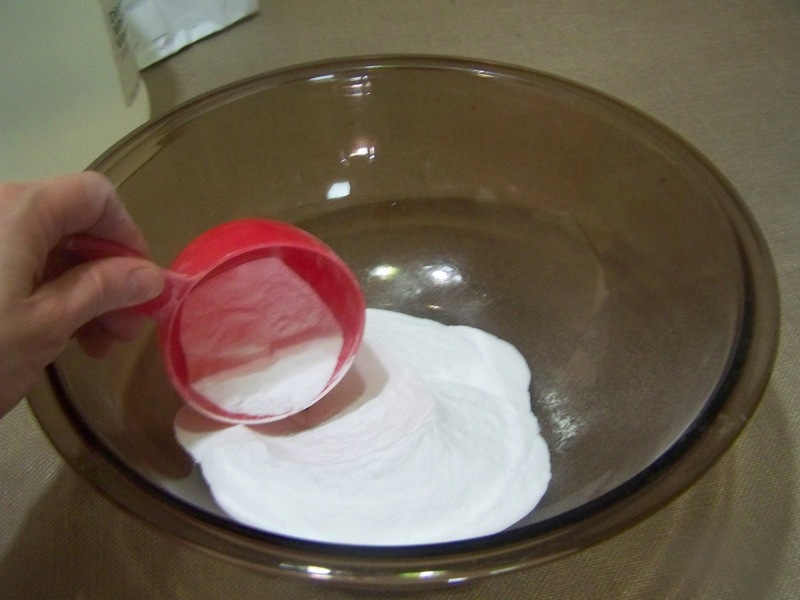 3) Carefully and slowly add 6 cups of vinegar to the baking soda. It will foam and fizz. Just keep slowly adding and stir often. 4) Add Purex and water mixture PLUS one more cup of water. to have less of the scent than the other. and baking soda. Shake before each use. I have been using 1/4 to 1/2 cup per laundry load in the rinse cycle. I am enjoying the fragrance and since there are no sensitive skins in our home I'll probably continue to make this version. I've figured the cost per batch to be $1.51. This made a half a gallon. I think it is closer to commercial softener than the other recipe but at a fraction of the cost. 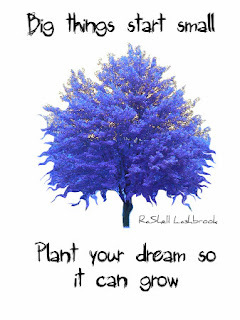 I'd love to know how this works for you! Or if you are like me and enjoy experimenting with recipes, let me know what changes you made and I'll give it a try. I love trying new recipes! At 1.51 a half gallon this is good. :O) Will have to try it! Thanks lady! I really like it so far! I've been finding things to wash just so I can keep trying it! Smells good! The kids are just happy that I'm not irritated about dirty laundry today! LOL! PLease do let me know what you think. Thanks Vintage Gal! I sure appreciate you stopping by! Have a wonderful weekend! just popped over from Brenda's cozy little house..
love all these frugal tips..
ps.. please eliminate the word verification thingy. Thanks for letting me know about it, I'll see what I can do to get rid of it. I have never heard of Purex Crystals (not that I'm a laundry diva or anything.) Will have to look around for this and give your idea a try. Leigh, I just found it next to the laundry softener. Let me know how it works for you! I'm loving so far! Awesome. 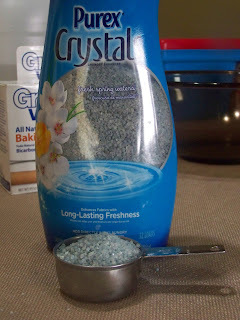 I have been looking for a way to stretch the purex crystals! I do have a question though- why the baking soda and vinegar? I understand the vinegar for fabric softening, but when you mix it with soda it creates sodium acetate, water, and carbon dioxide. Is there a reason to add sodium acetate? You ask a very good question! I wasn't sure why the mix of baking soda and vinegar seems to really work so I did a little research. "Baking soda is the chemical called sodium bicarbonate. Vinegar's main chemical component is acetic acid. The ions formed when the baking soda is dissolved in water react with the ions from the acetic acid to form carbonic acid, which quickly reacts, or decomposes, to form carbon dioxide and water. The bubbles from the reaction are the visible evidence of the carbon dioxide escaping from the solution as a gas. The remaining solution is sodium carbonate and water." So, after finding that end result chemical is sodium carbonate, I researched further and found that sodium carbonate (also known as washing soda) is used in both laundry detergents and softeners because it acts as a water softener. Interesting that vinegar and baking soda create washing soda. "In domestic use, it [sodium carbonate] is used as a water softener during laundry. It competes with the magnesium and calcium ions in hard water and prevents them from bonding with the detergent being used. Without using washing soda, additional detergent is needed to soak up the magnesium and calcium ions. Called washing soda, soda crystals, or sal soda in the detergent section of stores, it effectively removes oil, grease, and alcohol stains. Sodium carbonate is also used as a descaling agent in boilers such as those found in coffee pots, espresso machines, etc." I didn't know why this combination works, just knew that laundry was soft and static free. I wonder if I could just pour some washing soda mixed with diluted Purex Crystals into the rinse cycle from now on and save myself a little work. Thank so much for asking the question! I hope you have a wonderful day! The final product of the reaction of vinegar and baking soda has no useful household application. Thank you anonymous chemist! I've been a little disturbed about the confusing information regarding the chemical reaction between baking soda and vinegar and the end resulting chemical. I did a little more reading and I think I found some helpful info as to why sodium acetate is useful as a softener. It appears to reduce static electricity. "Sodium acetate is used in the textile industry to neutralize sulfuric acid waste streams, and as a photoresist while using aniline dyes. It is also a pickling agent in chrome tanning, and it helps to retard vulcanization of chloroprene in synthetic rubber production. In processing cotton for disposable cotton pads, sodium acetate is used to eliminate the buildup of static electricity." Thank you for setting us straight! Your input is very much appreciated. Have a great day! Thanks for visiting! I would think you could use the Downy UnStoppables without any problem. I just bought the Purex because it was cheaper. I would think you could use the Washing Soda in place of the vinegar and baking soda. I'm still questioning though, whether the information I found is correct. But I read it in several places and did verify that washing soda is a water softener! Just seems so simple! So I'd say give it a try and if you find that your skin is irritated then discontinue use. I'd start with a little bit (less than recommended as a wash additive)at first, say maybe a tablespoon of washing soda per 2 cups of water to make your softener. I might give it try. If I do, I'll post my results. I'm glad you enjoyed my site, I hope you'll find future postings helpful! Poppy, have you had a chance to try using just the Washing Soda? I'm new to this stuff and am looking for the quickest method. If the washing soda works, that would be great. 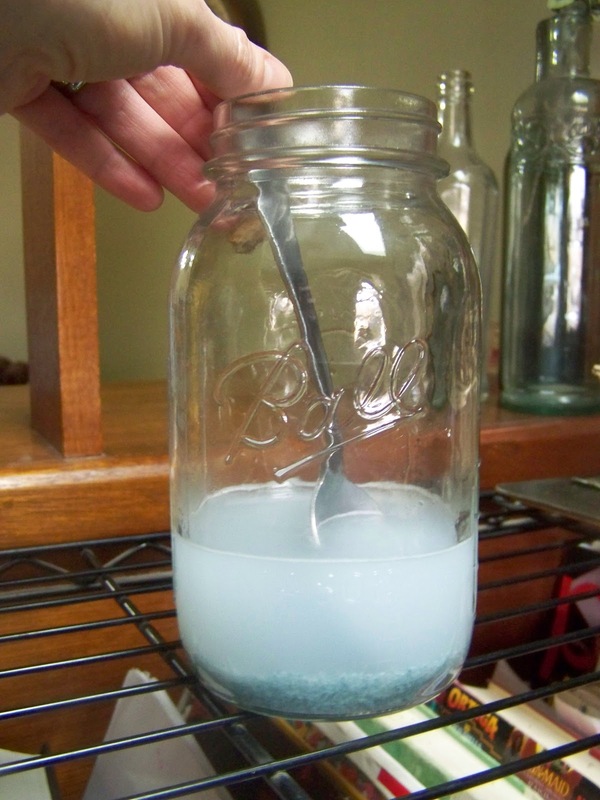 Ok, I used 1 tablespoon of washing soda with 1 quart of water and 1 tablespoon of Purex crystals. It seemed to work just fine, but I would like to wear something for a day just to make sure my skin isn't irritated (or anyone else in our family). Then I'd feel good about giving it my endorsement. how much of the mix did you use per load? Wonderful tattooedmommy10! I'm glad to have you here! Let me know how you like the recipe! I am wondering...is this safe for HE washers? Has anyone used this or the laundry soap in the HE? I don't know if it is safe for HE washers. I would imagine this softener would be no more dangerous than any other softener to an HE washer but I can't say with certainty. I would look at each ingredients safety level for HE washers to be certain. Please do let us know if you can ascertain the safety for HE washers. Thanks! HI, I just found your great site! I too am new to blogging at LakeShoreMomHelpingMoms! 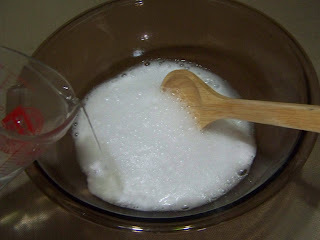 I have been making my own DIY laundry soap & it contains washing soda. It almost seems redundant to put more in the softening cycle. I have just been adding 1/4 of white cleaning strength vinegar to my HE washer. I haven't noticed any difference in how soft my clothes come out of the dryer! Hello...just came across your site on accident while reading about fabric softener on another site. So far, I love it. I'm going to make laundry soap this weekend, so possibly try the softener too. It seems strange that you would add washing soda to work as a softener. That's in the soap too. I assumed that the washing soda was soap, but after reading more, I realized that you have to add soap to it and water. We'll see how it goes this weekend. Thanks for the great tips. I just made the softener using 1 tbs washing powder, 1 tbs purex crystals and 4 cups hot water. Seems like it will work great. How much do I put in the rinse? I use about 1/2 a cup generally speaking. I think it does an adequate job of softening and reducing static cling. Of course your climate may be more dry or humid than mine (I live in Kansas). Please do stop back by and let us know how it worked for you and the amount you used per load. Thanks Kris! I was wondering if you noticed a residue in the container used to premix the crystals. I recently bought some Downy Unstoppables for the 1st time. They are pricey and I knew I'd go through them fast because of the amount needed to get that great smell. So, I decided to use them in my rinse water. I premixed them with hot tap water in a plastic measuring cup. While mixing there was a sticky residue on the sides of the cup. After using the liquid and the cup drying, the residue had hardened and no amount of scrubbing got it off. I thought maybe there was an interaction between the plastic, hot water & product so I tried other containers (plastic & glass) all with the same results. The only thing that reduced the residue was lower the water temp. After this experience, I would NEVER use the unstoppables in my warm or hot wash. I was curious if all the scent products did this. I was wondering if you really have to use the baking soda or if you could just use the crystals and vinegar? I do like the vinegar and conditioner but dont get the smell from it! I think you could get the softening effect from just vinegar and the scent crystals, however, I feel like I get better static control with the combination. Let us know how it works for you without the baking soda! Thanks for stopping by! 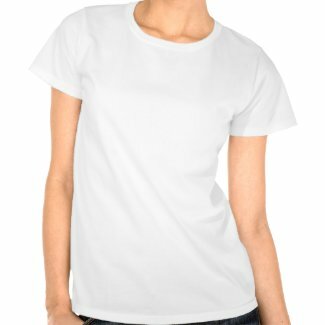 Just found your website today! 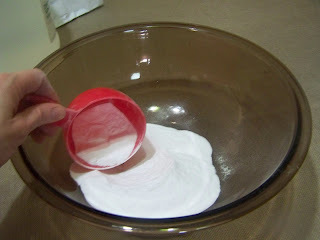 Love that your Fabric Softener recipe is so easy to make but I had a couple issues... I could NOT get the crystals to completely dissolve. I stirred and waited over a hour and I still had some on the bottom. Something I should have done? Also, my baking soda didn't completely dissolve... ??? Help? I've not had a problem with getting the crystals to dissolve but I do have some residue that settles out into the jar between uses. I just shake it prior to use each time and it seems to be fine. You might see the response above from the reader who used Downy Unstoppables (similar product) and couldn't get it to completely dissolve in hot or warm water. If you are using hot water to make your softener, that could be an issue. If that isn't the case, I'm not sure what the problem could be. After all, the scent crystals were designed to dissolve in wash water. Have any other readers had this issue? Thanks so much for visiting Jennifer! I hope we can resolve this issue for you. I LOVE the Fresh Spring Waters Purex Crystals! I think they'll make a better scent than the hair conditioners I was researching (aka smell testing) for a fabric softener recipe. I will be putting part of my finished product back into the Purex container and part into my current fabric softener (Suavitel) container. I want to see if the finished product in the Suavitel container will take on any of the lingering Suavitel scent. I WILL appreciate any extra Purex scent that comes from using reusing THAT bottle for the other portion of the recipe. If the Suavitel bottle doesn't alter the Purex fragrance, I'll probably use that bottle for the whole recipe the next time I make a batch. Thanks for this "Different Homemade Fabric Softener" recipe! Awesome Carla! Can't wait to hear how it turned out! Well, I made this tonight. I, too, had a problem getting the crystals to dissolve completely. I did use about 3/4 cup because I wanted a stronger scent. I figured if it was too strong I could add more water before I added it to the rinse water. I know I stirred the crystals and water mixture at least a half hour! I even tried using my Ninja, thinking the higher speed would do the trick. Nope! Now they DID seem to dissolve once I poured the mixture in with the vinegar and baking soda solution. The small amount of residue I saw once everything was mixed looked like baking soda, but I recall my Purex and water mixture looked like a parfait with three shades of blue, maybe the sediment I saw was that middle section of the parfait above the undissolved crystals. I may experiment with a tiny amount of crystals and vinegar and see if they dissolve better that way. I guess it doesn't really matter as long as they're dissolved when everything's combined. Smells good, though! 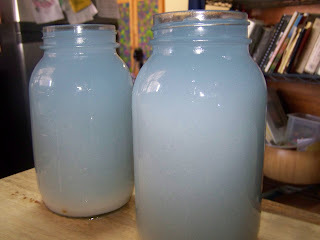 I liked to think I was spreading that nice smell around as I rinsed out the containers I used to mix it all up! I spilled a little on the floor when I was pouring it into the two containers. No big deal, the towel I wiped it up with will go in the wash and just add to the scent in the wash. Now I just have to remember to shake it up before each use. I don't notice any vinegar smell now that it's all mixed together. I don't get that. Six cups of vinegar in it and you wouldn't know it from smelling it. As far as using my Suavitel bottle for the whole batch, I can only do that if I set aside 8 ounces and use it quick on two wash loads. The Suavitel bottle I have only holds 56 ounces. At least I know what to expect with my next batch. This should last a few months. Thanks again. I'm excited to try this new recipe! I prepared it with the Purex Crystals and the scent is fantastic but there're white spots on my dark clothing. Anyone else having this problem?